Student unions have an important role in Sweden, especially when it comes to representation work. Student representatives of the Union act as the voice of the entire student body to the university and wider community, such as landlords and the municipalities. We also implement education monitoring and quality assurance towards the university, making sure that the education you receive is up to par. The Head of the International Committee at MDS holds a seat in the International Committee of MDH and as such has a say in the internationalization work carried out at the university. The Head of the International Committee also sits in the housing council to ensure that international students’ perspectives are considered in regards to accommodation planning in the municipality of Västerås. The International Committee arranges various activities and trips; everything from small gatherings at campus to longer trips abroad. 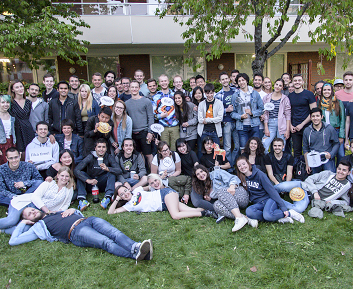 The main purpose of all our events is to help students get to know each other and promote the full Nordic experience. In the beginning of each semester we do a day trip to Stockholm where we go for a guided tour and then spend a few hours exploring the inner city. The capital of Sweden is located on several connected islands and is a beautiful and fascinating place to discover! In late September or the beginning of October every year we arrange a weekend cruise on the Baltic Sea. We spend two nights at the ship and get a full day of exploring Finland. It’s a great way for all the new students of the fall semester to bond. As winter draws close, we switch gears from the bustling big cities and head north to the magnificent Finnish Lapland. 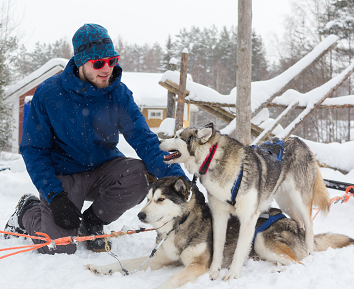 There you can go dogsledding, snowmobiling, ice fishing, or take a dip in the frozen lake (followed instantly by a visit in the sauna, of course). If you are lucky, you may also see the stunning Northern Lights! Depending on interest, we arrange a day- or weekend trip to Romme Alpin, a ski resort about two hours north from Västerås by bus. There you can ski, snowboard or just have some fun in the snow. Don’t worry if you’ve never done winter sports before or don’t have any equipment, you can rent all you need at the resort and there are hills for every skill level! If you enjoy the cruise to Helsinki you can come with us for an even longer adventure just a few weeks later, or wait a few months and go in spring. Twice a year we arrange a 6-day long visa free trip to Saint Petersburg with stops in Tallinn and Helsinki along the way. You will definitely make memories that will last you a lifetime during this adventure! The International Committee consists of a project leader, titled Head of the International Committee, and several fadders. While the project leader is a trustee of the Student Union, the fadders are all volunteers. 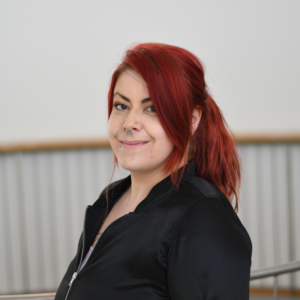 We have both Swedish and international fadders who offer up their spare time to help ensure there’s always something fun for students to do, and someone for students to turn to if they need help. As a fadder you play a vital role in keeping the student life lively and vibrant, from the moment new students set their foot in Västerås and throughout their entire stay at MDH. In the beginning of each semester, we arrange reception days and the rookie period to help all new students transition seamlessly into their student life at MDH. 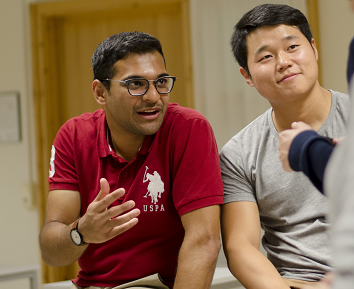 Reception days is two to four days during which MDH, the International Committee and the housing office Bostad Västerås welcome new international students. During the reception days we answer questions and offer shuttle service from Västerås central station to MDH and then onwards to the different student accommodations. The first few weeks in the beginning of each new semester is referred to as the rookie period. During this period various activities are held on an almost daily basis, with the purpose to help new students get to know one another, as well as their new surroundings. The International Committee is a subsection of the Student Union which focuses on the interests of the international students. We believe in a connected world and work to incorporate and promote internationalization in all aspects of student life. 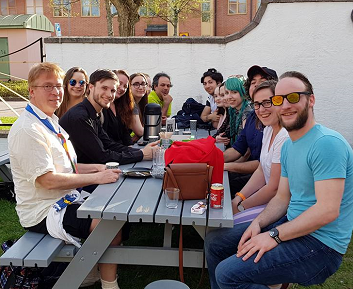 Our primary goal is to make sure that all international students feel included, cared for, and have a wonderful time during their stay in Västerås and at MDH! Would you like to get to know people from all over the world? Do you like arranging events, or perhaps you have one special skill that you would love to teach your fellow students over the course of a semester? In that case being a fadder in the International Committee might be for you! Everyone who has studied at MDH for at least one semester is eligible to apply. Contact the Head of the International Committee to find out more!